Die deutsche Version dieses Beitrages folgt in Kürze. Remove all the unnessessary stuff from WordPress and take approach to the GDPR / DSGVO compliance. 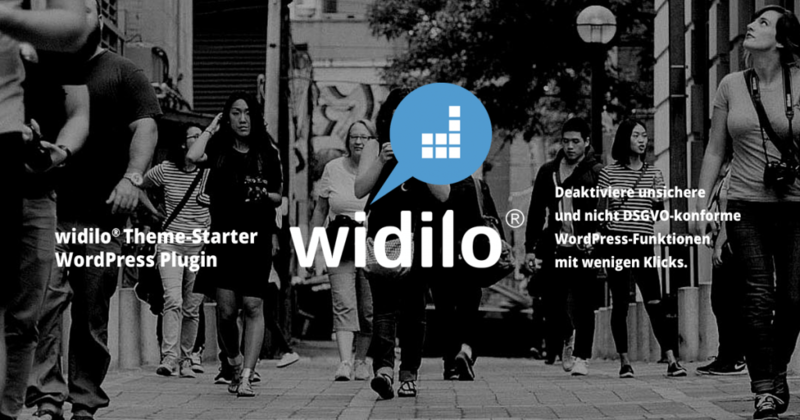 widilo ® Theme-Starter turns your WordPress CMS in a more secure and GDPR compliant version. In addition it will speed up your website! Remove unnecessary WordPress header information, like feed links, wlwmanifest, rds, wp generator, etc. Purchase the widilo®Theme-Starter plugin and download it to your computer, click here. Our shop is in developement at present and comming soon. In the meantime, if your are interestetd in buying our plugin, drop us a line to: *protected email*. 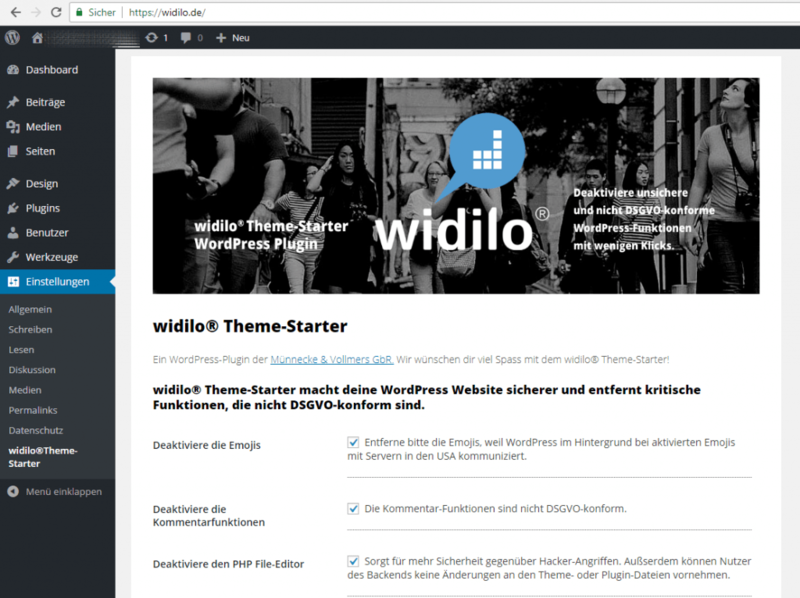 Click > Upload plugin > Choose ‚widilo-theme.starter.zip‘ from your computer. Then click ‚Install Now‘ and the plugin will be installed shortly. Click ‚Activate Plugin‘ to activate it, or ‚Return‘ to ‚Plugin Installer‘ for further actions. 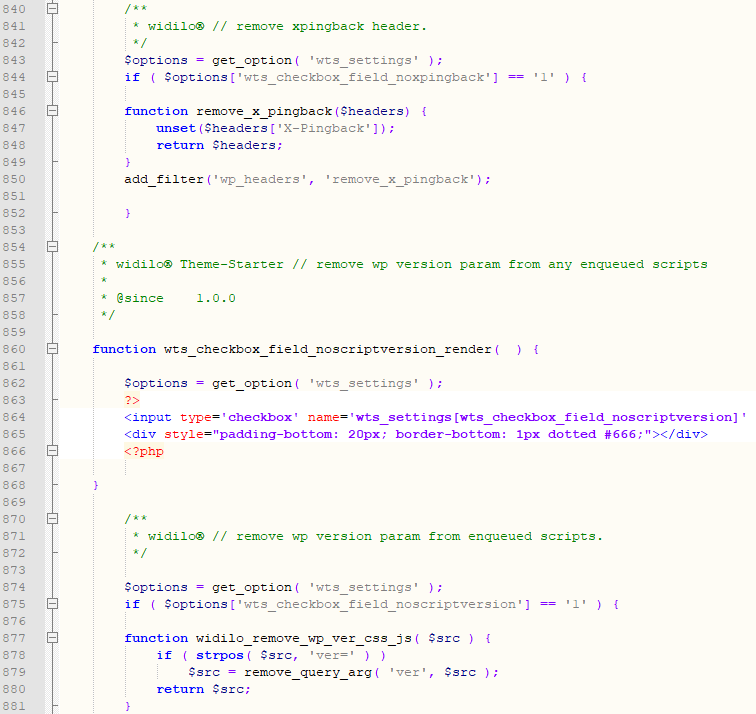 An update with a hand full of new functions will be published in a couple of weeks. Stay tuned!